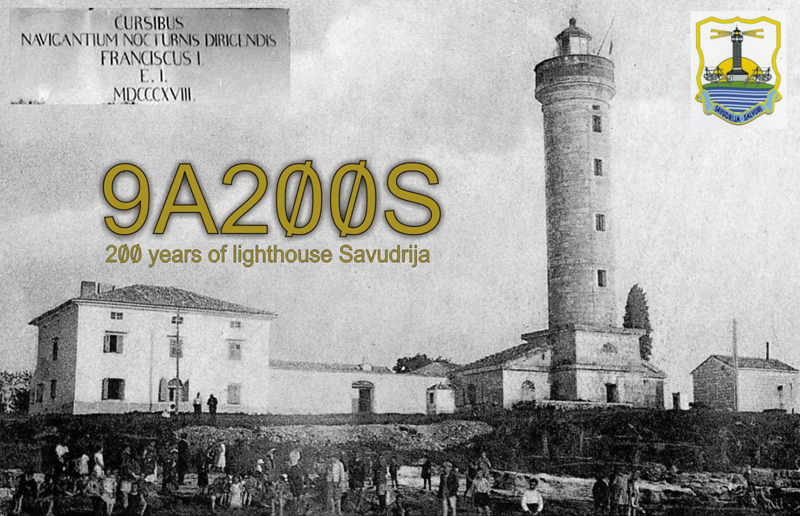 Members of the Radio Club Croatian Flora Fauna will be celebrating 200th anniversary of the Savudrija lighthouse using the special callsign 9A200S (9A two_hundred S). Franjo, 9A2MF, a former lighthouse keeper and who has spent 10 years at various lighthouses around the Istria peninsula, is responsible for this operation. 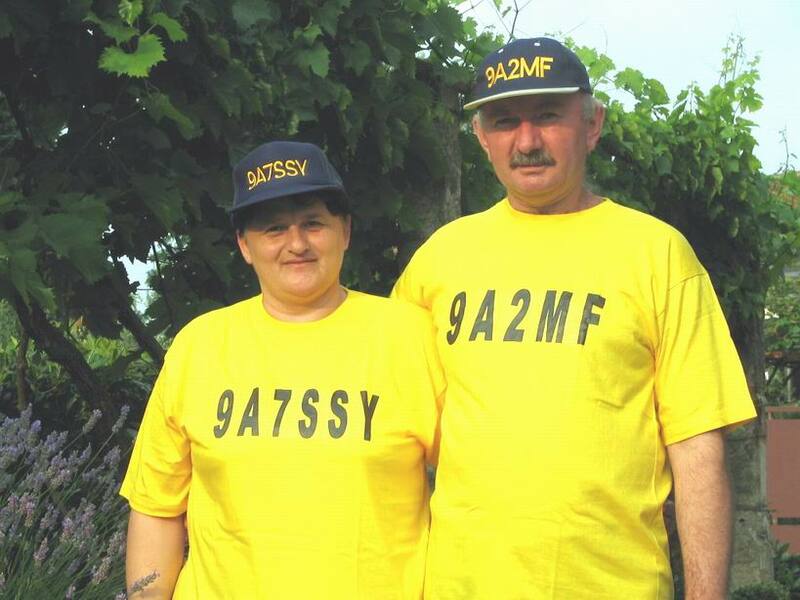 He and his wife Anica, 9A7SSY, spent 4 years at the Savudrija lighthouse as its lighthouse keepers. Both of them are members of Radio Club Croatian Flora Fauna. Activities will be on all bands and modes from March 1st until end of December 2018. QSL 9A200S via 9A2MF. Savudrija Lighthouse is the oldest lighthouse in Croatia, located near to the village of the same name, at the northern end of the Istrian peninsula, close to the Slovenian border which is at the southern end of the Gulf of Trieste. Also known as Cape Savudrija lighthouse, prior to the Second world war the light was commonly known as the Punta Salvore Lighthouse. Completed in 1818, it is the oldest operational light of the Adriatic. Whilst the Italian lighthouse at Barletta known as the Faro Napoleon is considered to have been built at an earlier date in 1807, it was subsequently deactivated and replaced by a breakwater lighthouse in 1959. It was initially lit with coal gas, the first lighthouse to be designed and operated in this way. Although widely publicised as a success, ongoing problems meant that it was rapidly replaced with an oil fuelled system. 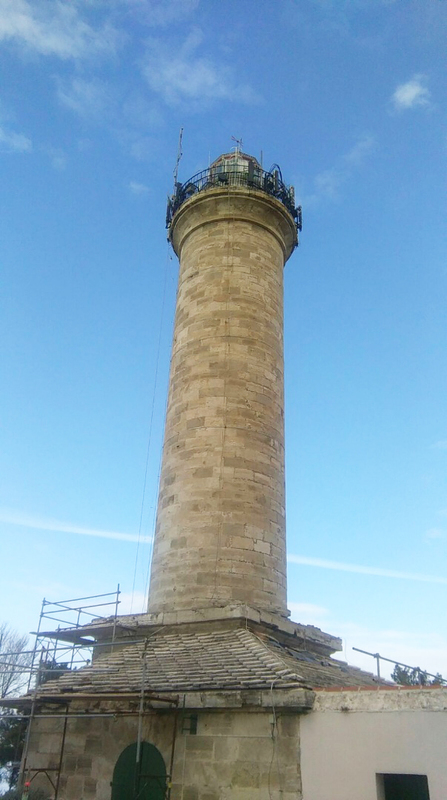 The lighthouse is operated by the state owned company Plovput. Although automated the light is still manned, lighthouse keepers helping to secure and maintain the site. Since 2000, rooms within the lighthouse have also been made available for rent as holiday accommodation. At a height of 36m above the sea, the light has a range of 30 nautical miles and consists of three flashes of white light every fifteen seconds. There is a romantic tale associated with the lighthouse, in which it is said that Count Metternich had it built for a beautiful and attractive Croatian lady of high birth, whom he met and fell in love with at first sight during a ball in Vienna. The Austrian Count and his mistress were destined not to live there, as she became ill and then died on the same day that it was completed, and he never set foot in the lighthouse again.